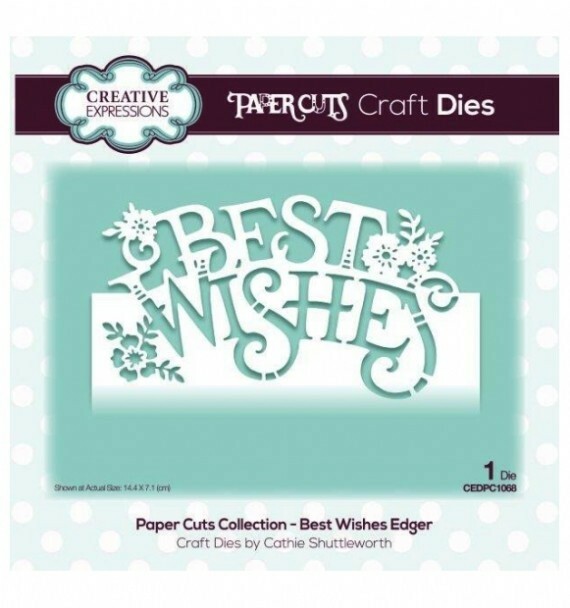 The Best Wishes Edger Die is part of the Creative Expressions Craft Dies Paper Cuts Collection, designed by Cathie Shuttleworth. Half of the die cuts into the card and half of the die cuts out so you get a lovely effect on the side (edge!) of your project.